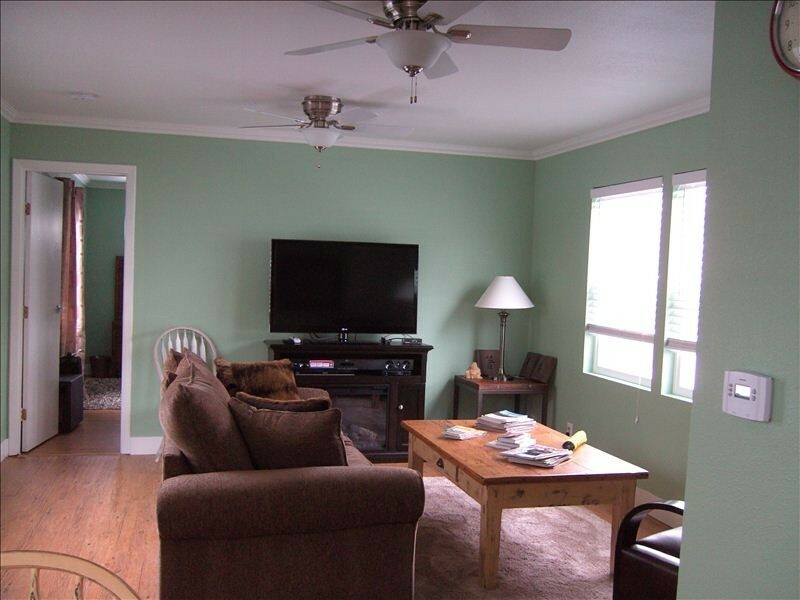 Thanks to a complete remodel in 2011, this single wide is beautiful and has several great decorating ideas for mobile homes. The home has a great combination of style and function that works together to create a modern, and beautiful, home. This mobile home is a great example of putting professional interior designers’ advice to work in a real-life setting. Working with small spaces can be difficult – space efficiency and home fashion don’t often go hand-in-hand, but this home makes it work. It’s apparent the homeowner did their research because some of the best-known tips for decorating small spaces is being used in the home. First, let’s review our growing list of the best decorating ideas for mobile homes. This list is based on tips and advice from interior designers’ for certain issues that most affect a mobile or manufactured home: small space, rectangular rooms, low ceilings, multi-functional rooms, and so forth. Use a light wall color throughout the entire home to open the space up and create cohesiveness. Make your furniture work double-time with multipurpose pieces – stools as tables, benches with storage, etc. Use wasted space in your home for storage. Click here for a great article on mobile home storage ideas. Use a high-gloss white for the ceilings so the light will reflect well and help make the ceilings appear taller. Mirrors help make a space seem larger and your ceilings appear taller- use them! Go Up! Use the vertical space in your home. 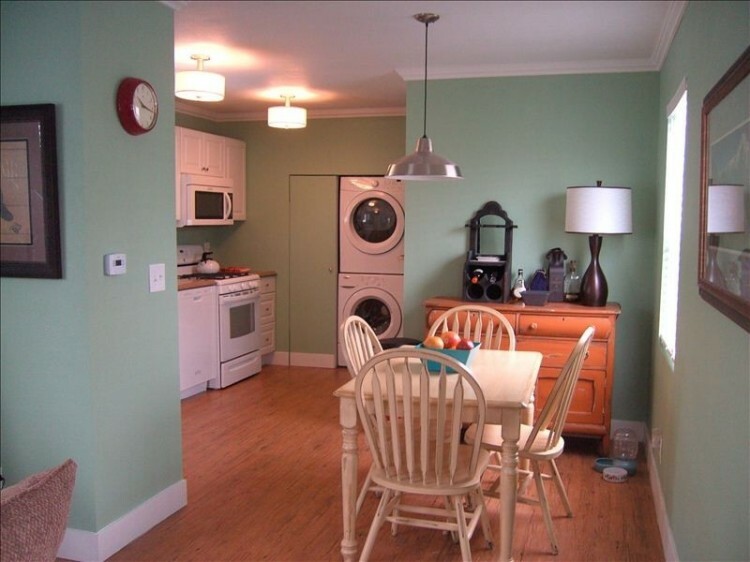 Stacked washer and dryers take up a lot less room than side-by-side appliances. Bookshelves on the walls can make a beautiful display area. Pay attention to detail. In small spaces, every little detail counts. Trim and accents that pull the space together can update a room quickly. Extend the living space to the outdoors – decks, patios, and porches are perfect outdoor living spaces – use them to your advantage. Control Clutter. The less you have, the less you have to clean or store. Make a goal to donate one item for every new item you bring in. Use Pattern and Texture. Many designers have stated that patterns and textures work wonders to add pizzazz to your home. Hang artwork higher to help make your ceilings appear higher. Full-length curtains work, too. Use moderately scaled furniture – scale can make or break a room. Buy furniture that isn’t too big or too small, but don’t be scared to have one or two large pieces that are functional. Mobile homes are rectangle so add as many curvy or circular pieces as you can in your home. It will break up the straight lines. Keep the furniture off the walls. Create cozy, intimate seating arrangements instead. Use bookshelves as room dividers. Forget about all the rules, advice, and tips. Take them into consideration, sure, but it’s your home and your space – make it yours! This lovely mobile home uses several of the best decorating ideas for mobile homes listed above. One of the easiest decorating tips anyone can follow is painting your home in a light, cool palette – using a light palette throughout the home can make it seem larger. This single wide has a light sea-green color is on every wall and it works well to open the space up and create a cohesive space. Clean, white ceilings help connect a space and make it seem larger. The crown molding isn’t hurting either. Notice the thick baseboard trim used? Trim is a great way to give the interior a polished look. Be warned though, some designers state you should paint your crown molding the same color as your walls in low-ceiling rooms so you don’t call attention to the ceiling. Other designers state you should paint a 2-3″ band around the top of your wall the same color as your ceiling to help make it seem higher. I suppose it depends on the colors you use. Ceiling color: Paint your ceiling a color lighter than the walls, preferably white. Some believe high-gloss paint is best because it reflects light and makes the ceiling look somehow less fixed and static, while others say a matte finish will help the ceiling to blend in more. Some designers suggest you paint the wall beyond the top of the wall. In other words, paint the first two or three inches of ceiling around the perimeter the same color as the walls to give the illusion of taller, higher walls. Crown Molding and Trim: Some say crown molding and trim at the top of the walls should be painted in the same color as the walls so as not to draw attention upward, which would highlight the low ceiling height. I’m a bit conflicted about this because I love contrasting trim, but you can still have contrasting baseboards, etc. Another tip the homeowner follows is with furniture placement. The furniture in this mobile home is not placed against a wall. The seating is creating a cozy area that is perfect for conversation. Using vertical spaces for storage and appliances saves lots space. The stackable washer and dryer is a great idea for smaller homes. The kitchen has plenty of storage and uses the vertical space well. Getting the microwave off the counters and under a cabinet increases your workspace, too. The countertop is a great use of adding a textural element to a room, it even matches the flooring. 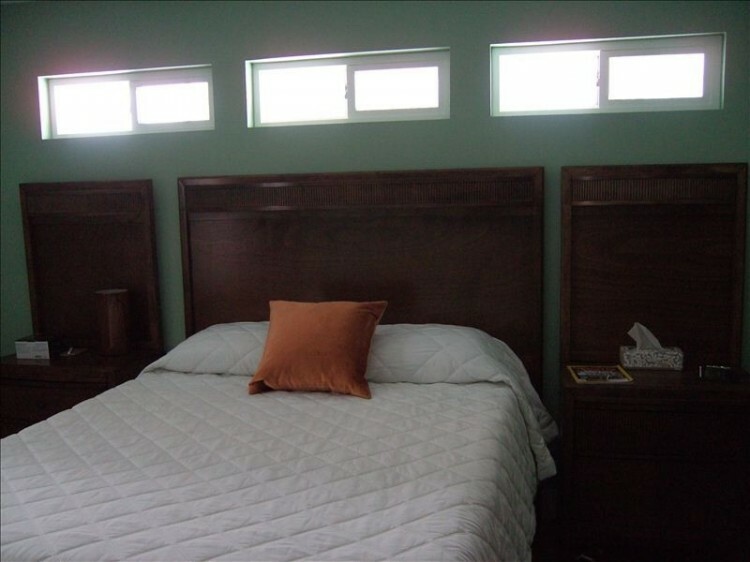 Rectangular windows, also known as transom windows, allow plenty of light into the bedroom without losing any privacy. Everything in this mobile home is updated – including the bathroom! The owner does a great job of using the same color palette throughout the home with the furniture, as well as the flooring and wall color. With an interior so cozy and nice, you’d really never know that the home was a single wide, huh? It is, and here’s what it looks like on the outside. 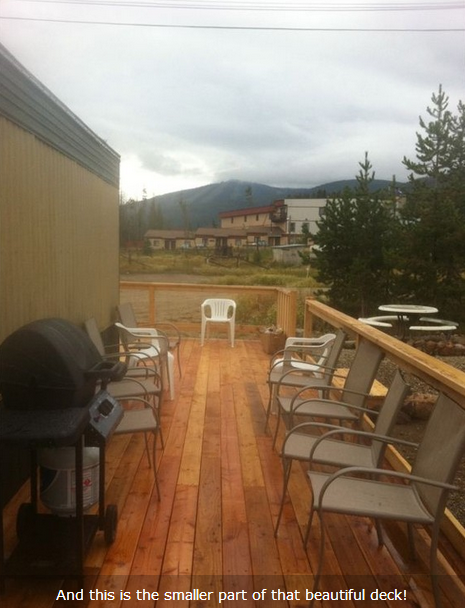 The decks are a great way to extend the homes’ living space and increase the square footage of usable space. Technically, this mobile home is a vacation rental, not a ‘home,’ but it could be lived in full-time. Temporary or not, you would be living in style! The home was found on a website called vrbo.com, an online portal for vacation and rental properties, and is located in Winter Park, Colorado. 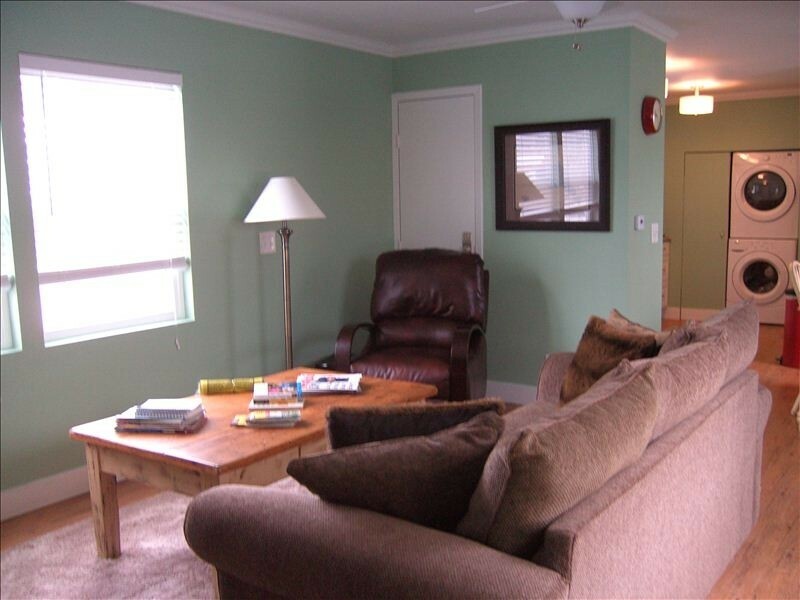 Nightly rental rates run around $135-235 per night. Compared to the cost of a motel room, this would be a great deal and there’s no one on the other side of the walls. This rental’s listing tells more about the home and jokes that it is a “Trondo” – part trailer, part condo. Not only does the homeowner follow great decorating ideas for mobile homes, but they go on to provide some great reasons why a mobile home is a better choice than an apartment or condo, too. “Is it a Trailer? Is it a Condo? No, it’s a Trondo! 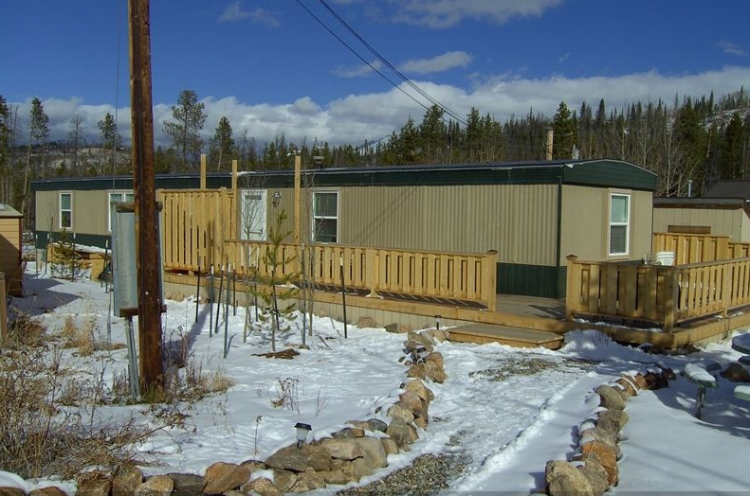 Seriously, this manufactured home may be the best deal in all of Winter Park! In a small manufactured home park of only 5 properties, this wonderful accommodation only steps away from Main Street but offers the privacy of a private home. No shared walls or noisy neighbors to worry about! COMPLETELY remodeled in 2011 to the level of a LUXURY CONDOMINIUM, this gorgeous 1100 sf. home away from home has everything you’ll need to enjoy your time in wonderful Winter Park. With 8 foot ceilings and 15 windows to let the light pour in, this feels more like a mansion than a mobile home! No expenses were spared in the remodel! From the new double pane windows to the 47′ LED 3D TV, the owners designed this space for ultimate comfort! ….. This is a great place to spend a weekend or a year, and it utilizes some of the best known decorating ideas for mobile homes, based on professional advice. The paint color is stylish, the new flooring is beautiful and the updates throughout the home provide a modern living space – whether for a single weekend or the entire year. Do you have any mobile home decorating ideas? If so, we’d love to hear about them! As always, thanks so much for reading Mobile and Manufactured Home Living! I have a 14′ x 65′,my husband started the remodel then passed away suddenly,my living room is all paneled even the ceiling,i want to paint the paneled ceiling whit,leaving the lighted beams the color they are, the ceiling in the living room and dining room are high as compared to the 7 foot through out the rest of the house,all the other ceilings are white.Do you think that would look good or just odd,I look at it everyday and don’t want to mess it up. My bathroom is half done,but i do not like it it is L shaped,with the vanity on one wall,with the water heater on the same wall boxed in,the john is up on a raised part along with the tub/shower,also paneled YUK!,need to change it but don’t have very much money any ideas? So sorry you’ve lost your husband. First, I wanna talk about the bathroom. I’m almost 100% positive that the toilet and tub are on a platform so that the water will drain properly. You likely won’t be able to change that or you’ll have plumbing problems. 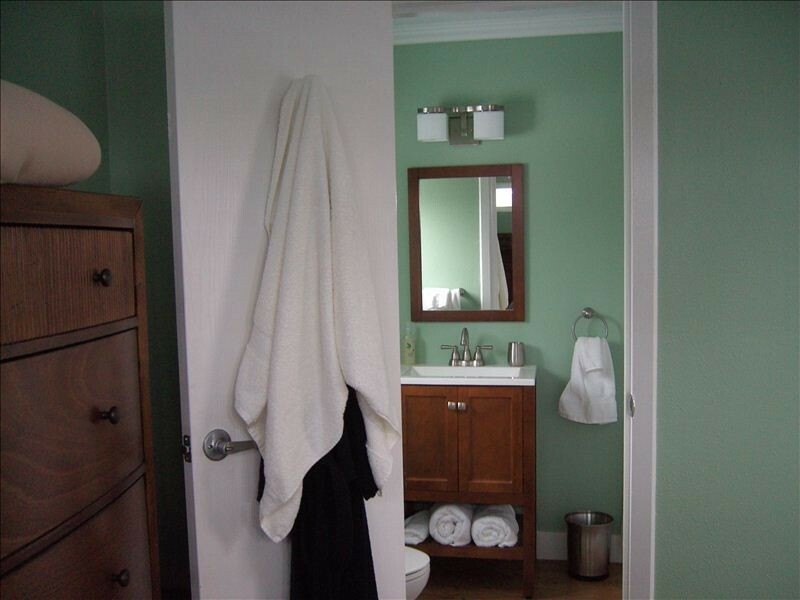 You will be able to move the vanity around and maybe move the water heater (depending on the setup). I’m a big believer in white ceilings. It opens the space up and lets the light bounce around. If I can’t use white I want a light natural pine plank (but that’s just my preference). I think white with darker beams will look great. It will allow the light to bounce but also pull the eye up to the beams which makes the room seem taller. Just be sure to tape up the beams really well before you paint. I’ve seen some homes with messy paint jobs on the ceiling (with paint on the edge of the beams) and it really took away from the effect. Use the best tape you can (I really like the frog tape). I live the pine plank ceiling idea. My boyfriend and I recently purchased a 1972 Single wide (12’x 60′) for only $1800 so needless to say it needs a bit of work lol. Our ceiling time are those old original mobile home tikes you see in every old trailer, and most are missing the trim over the seams and some are damaged and need to be removed, and leaks in the roof need to be sealed still, so would covering the old ceiling tiles and replacing the damaged ones with planks work out well? And if so what way sould we plant, horizontal or vertical, or long ways/shortest. I’m not sure which is right for plank direction sorry haha. Also, my boyfriend is an electrician and sub-contractor so he knows how to do all the handyman things to fix the leaks and make sure the planks would be even and everything so construction knowledge isn’t an issue. Thanks! Your boyfriend should have it all under control. Electricians are smart! Keep weight in mind when you choose the ceiling material. If you can find a thin pine plank that won’t require too much of a frame (anchor) you should be good to go. Take photos – I love featuring homes that didn’t cost much but end up looking like a million dollars! I love your tip about adding mirrors to make the space seem bigger! My grandmother lives in a mobile home and she is constantly complaining about how small the space feels! If she added a few mirrors, I’m sure it would change the entire feel of her home! One thing to keep in mind in a mobile home is scale. Choose bedroom furniture that doesn’t overwhelm the room and allows a clear path for traffic. Lower furniture will give the room the illusion of height. To free up additional space, weed out any items you don’t need or use. Another trick to making your mobile home feel more spacious is to choose bedroom decor that blends with the rest of the home and keep accessories to a minimum. We have a queen large frame bedroom set and 50 inch big screen tv, how am I supposed to not overwhelm my rooms. We cant go out and buy all new furniture. Going from 1811 sq. Ft. Home to a 1300 ft. Double wide. I haven’t figured it out myself to be honest. 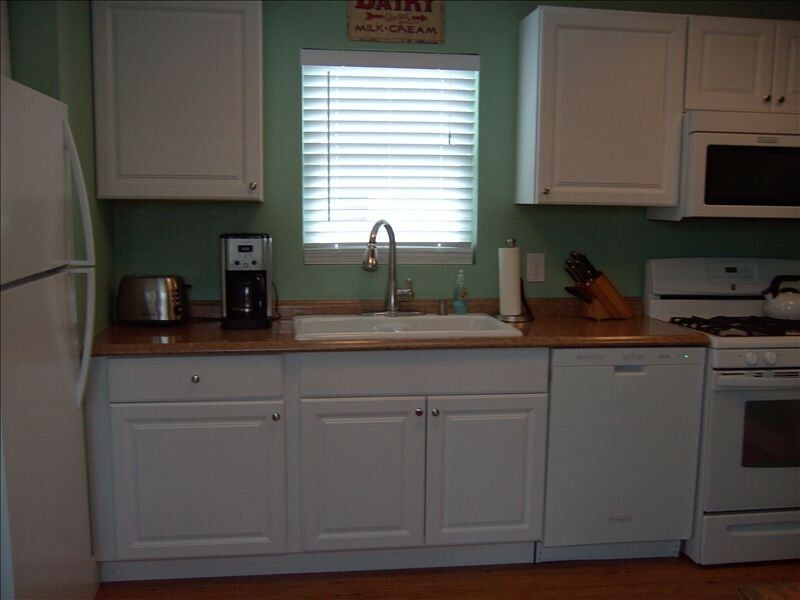 We came from a 3 bedroom, 2 bath double wide to a single wide with less than 700 square feet. At first it didn’t bother me but it seems the longer we stay the harder it gets (granted we have an overly dramatic pre-teen daughter running around like a chicken with its head cut off most of the time – that’s probably not helping much…lol). I’ve read quiet a few articles saying that over-stuffed furniture works well in smaller spaces as long as you balance everything out. Just do what you can with what you have – it will all works itself out in the end! Thank you so much for reading MHL and commenting – I appreciate you taking the time to say hello! no words for these awesome designs!